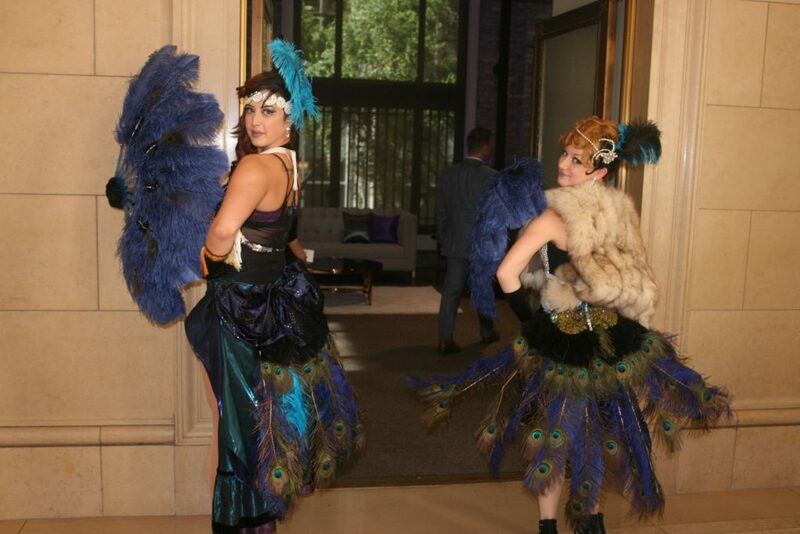 Here are a few glamorous peacock showgirls from Catalyst Arts, available to add glamour and style to your next event! 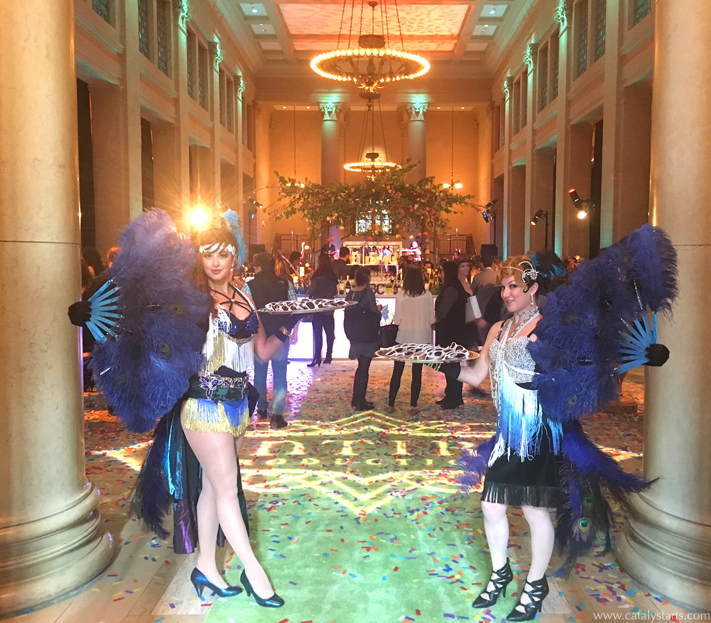 We were featured at the Entire Productions Suddenly Spring showcase at the gorgeous Bently Reserve. Also check out my featured burlesque act which uses both male and female peafowl with two or more performers.